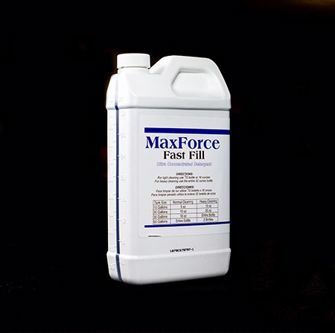 MaxForce is an ultra-concentrated detergent and degreaser in one powerful formula. It works best on dissolving greasy oil stains like motor oil, fatty oils found in restaurants, and even soap scum in bathrooms. MaxForce is fortified with Butyl for maximum cleaning power. Butyl is organic in nature but can harm some plastics. MaxForce is ideal for facilities that have problems with grease and oil. The Butyl-containing formula is specifically designed to help dissolve sticky substances like oil so clean-up is a breeze. Two cases of this detergent are equal to one 55-gallon drum and only one case can fill up a scrubber 48 times! Your floor will never be cleaner after using MaxForce!